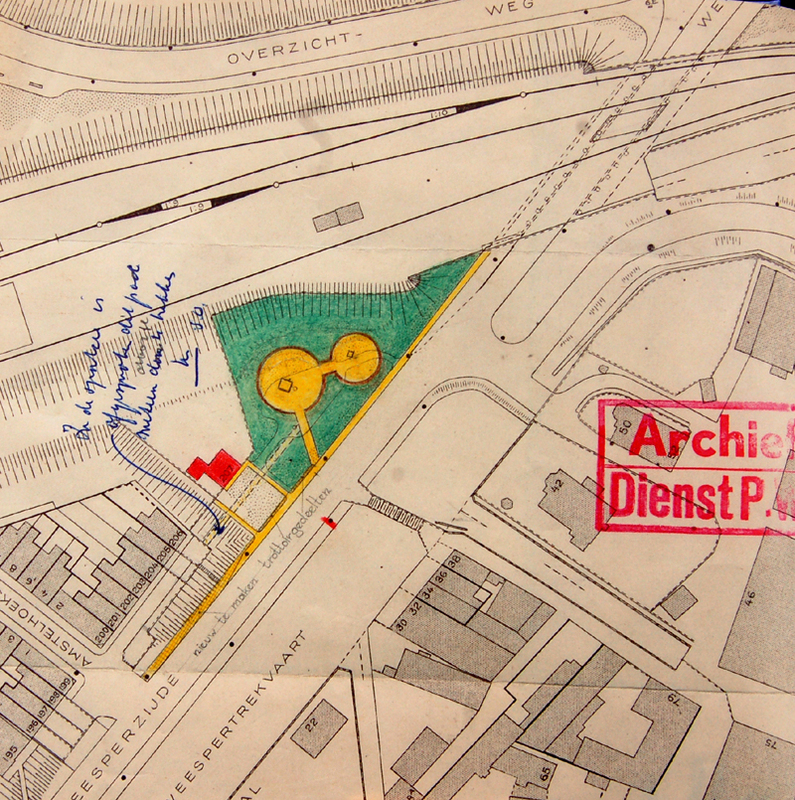 Doing a spot of research on Aldo van Eyck’s playgrounds in Amsterdam (check my earlier blog for more info on van Eyck). 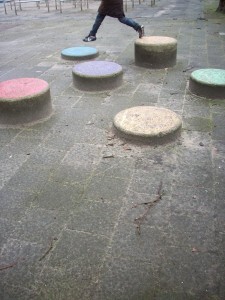 The little girl and me visited a couple of playgrounds yesterday – rainy Easter sunday – and did some work. 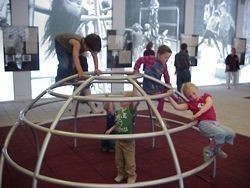 I upload pics from the book “The Playgrounds and the City” here – those pics in black and white. The colour ones I made, assisted by my play expert. We took a couple of boxes of coloured crayons and had fun with those. 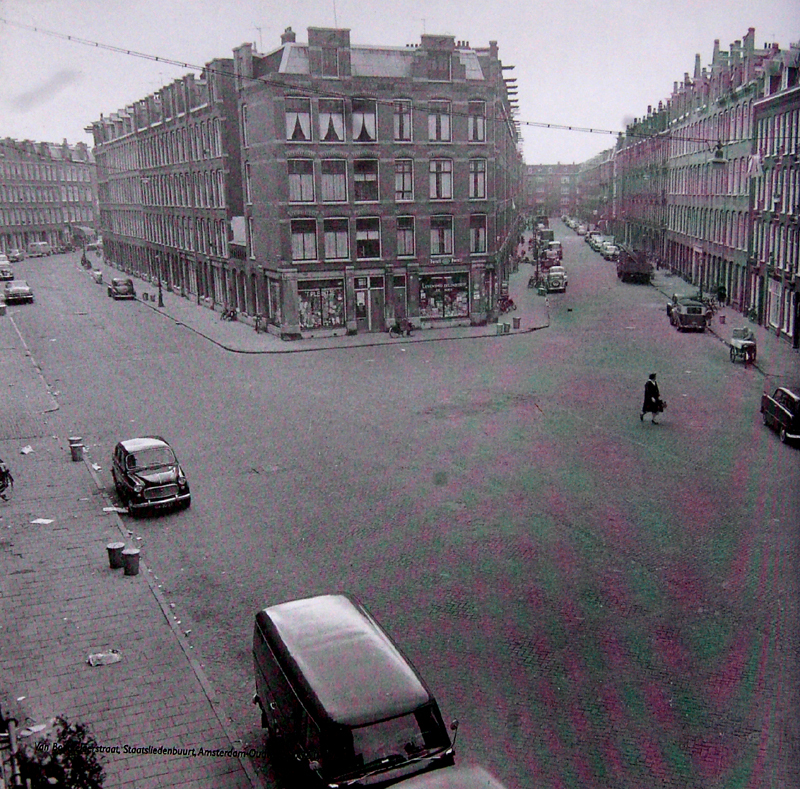 The pics you see here are of the Bertelmanplein, which is the first playground van Eyck realised in 1955. 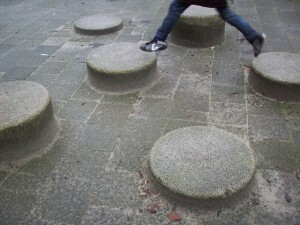 Also the best preserved – the sandpit and the stepping stones are still there. 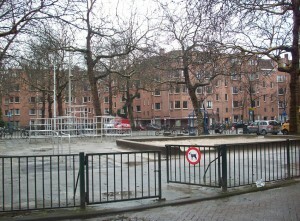 The play furniture that was added is done in his style, which makes Bertelmanplein really stand out – I will post some horrid examples found at the other sites we visited. What is totally wrong, though, is the placement of the play furniture and the fence around it. There is no harmony any more, no sense of fitting in.